The cultural traditions of the East become part of the European tradition. 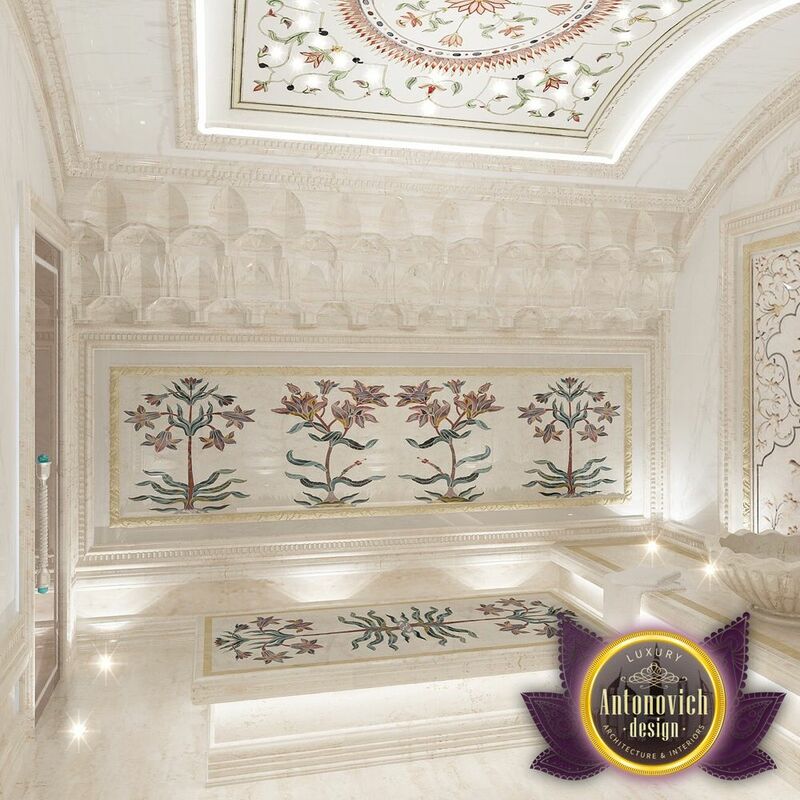 This attribute is a hammam in your own home is becoming an integral part of a home spa zone. 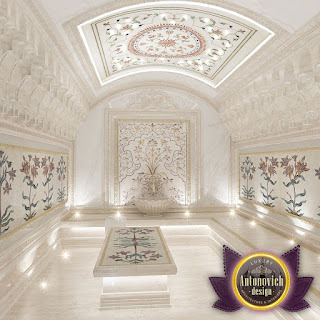 This is where you can relax body and soul. 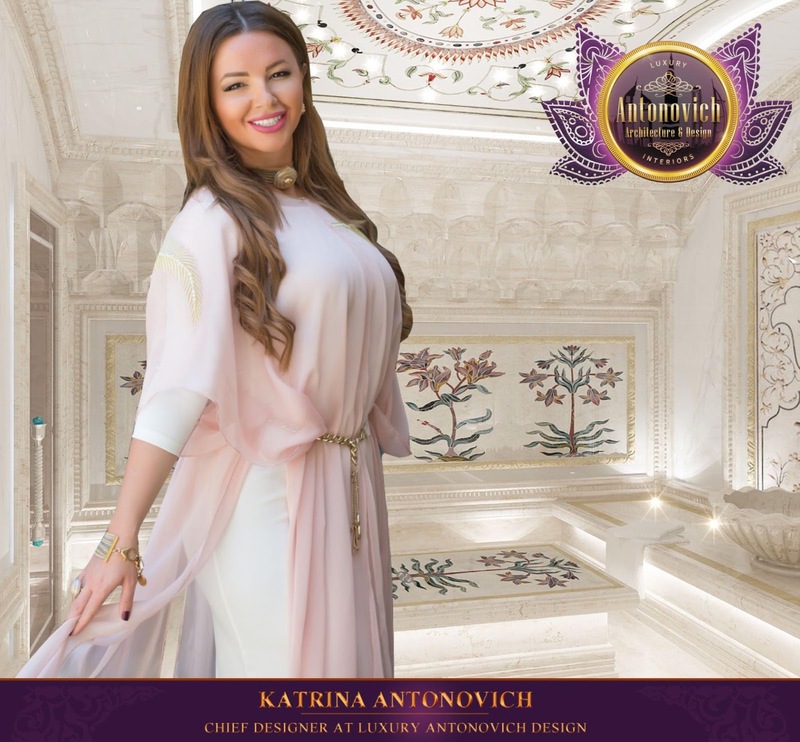 Design studio Luxury Antonovich Design creates exclusive interiors hammams in compliance with all the canons and principles of the premises. 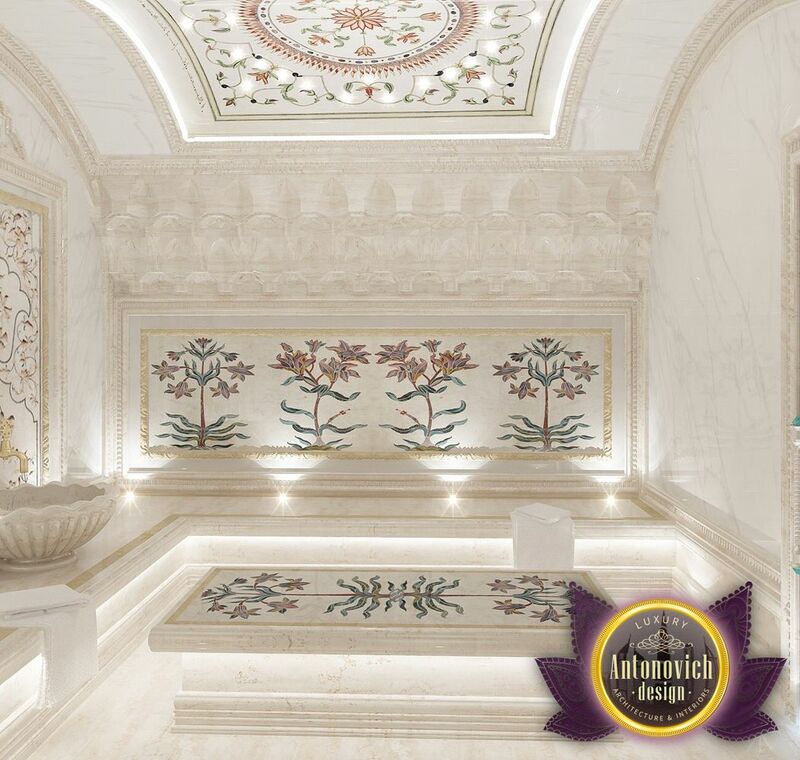 To rest brought a joy in every aspect, we offer the unique beauty of the solutions in the decoration of walls, ceilings and floors. Traditional mosaics we complement modern lighting techniques. 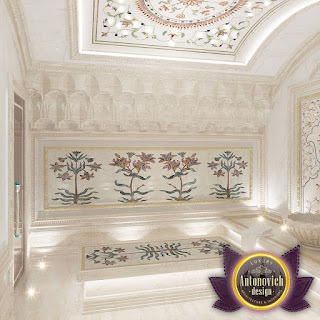 All patterns and designs are developed individually by the author's sketches of our designers.